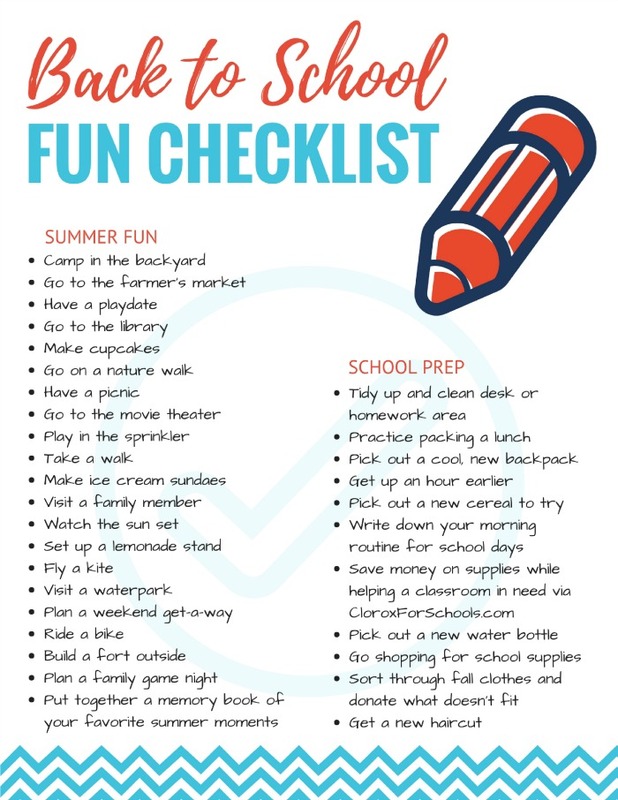 Printable Back to School Fun Checklist – Fun ideas for ending the summer with a bang and easing into the kids’ back-to-school schedule. Thank you to Clorox® for sponsoring this post. All the content and opinions expressed here are all my own. It was only a couple months ago I took the photo below. Where has the summer gone? Conversations with my friends have quickly changed from summer vacation plans to back-to-school plans. 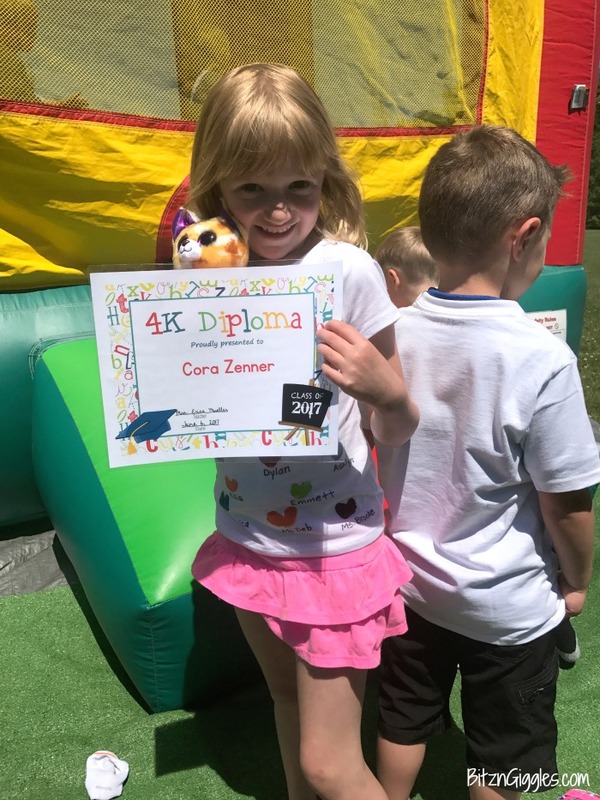 Our daughter, Cora, graduated from 4k this past June and will be entering kindergarten in the fall. Even though we’ve kind of been through this already with our son, Dane, I’m finding myself excited for her, as well as a little “anxious.” I know she’s going to do great but she’ll be adjusting to a new school, new friends, new teacher. . .
You get where I’m going. As parents, we tend to worry a bit, don’t we? We’ve been trying to ease into the back-to-school routine. The kids have started going to bed a bit earlier and getting up a bit earlier, so their bodies start adjusting to the new schedule. We’ve been gradually picking up school supplies, starting with backpacks and lunchboxes (the fun stuff), to get them excited about getting back into the classroom. The family has also been tidying up the home little by little and cleaning so we can begin the school year on, not only a fresh slate, but a clean one as well. 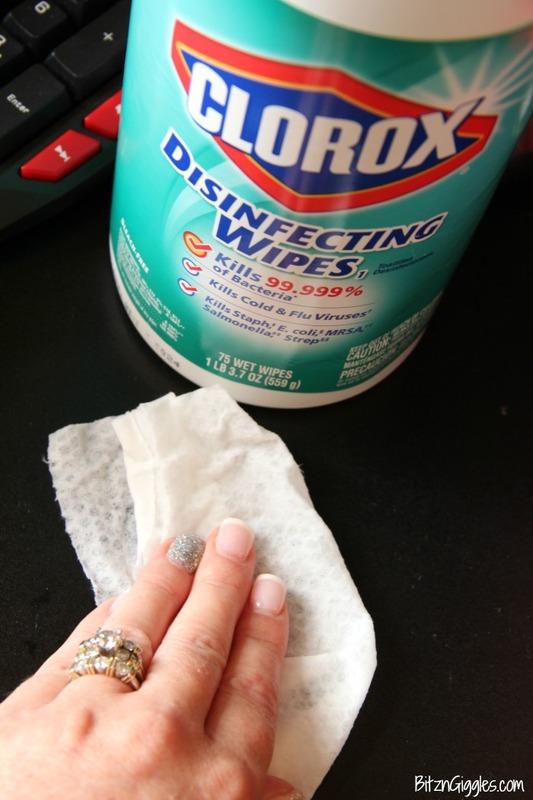 I use Clorox® Disinfecting Wipes, as they are the ultimate multi-tasking clean-it-all. They help kill 99.9% of germs and bacteria on surfaces, so they are very handy to have in the home. . .and the car. . .and the office. Alright, I pretty much take them everywhere. So, I end up stocking up big time on wipes before school starts. I also pick up a few other items that I’ve learned, over the years, are pretty much necessities. Dane taught me that having a new lunchbox is important even if he doesn’t bring his lunch to school every day. 😉 We get more than enough use out of the lunchbox for car trips and summer camp! It’s totally worth it. Oh, and don’t forget to pick up a water bottle. One year I purchased a backpack without an elastic mesh pocket on the side to hold his water bottle and we ended up returning it. The mesh pocket is perfect for holding a water bottle, and a requirement, according to my eight-year-old. So, my advice to you is to make sure the backpack you purchase has one! To make Cora a bit more comfortable with her first day, we’re also planning on attending an open house at the school so she has a chance to scope out her classroom, drop off her supplies and meet her teacher. I didn’t want this last month to be all prep and no play, though. 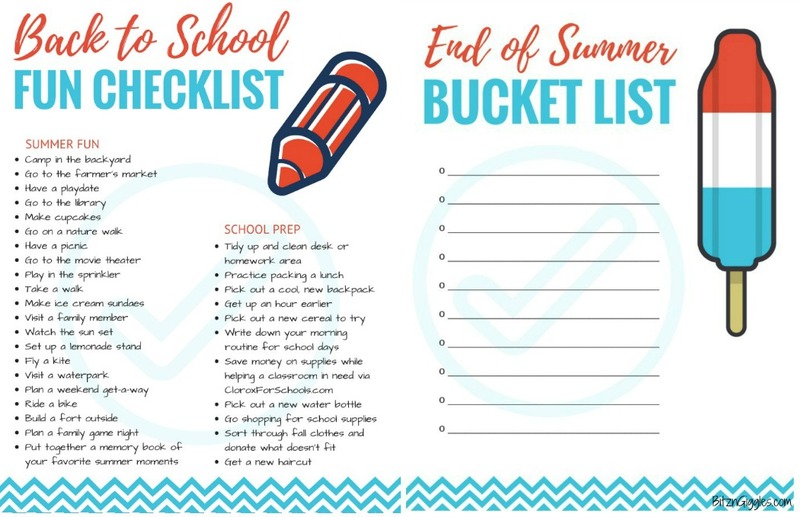 So I created a printable Back to School Fun Checklist and End of Summer Bucket List to make these last weeks both memorable and fun, mixing back-to-school prep with end-of-summer fun. The kids went through the checklist for ideas. 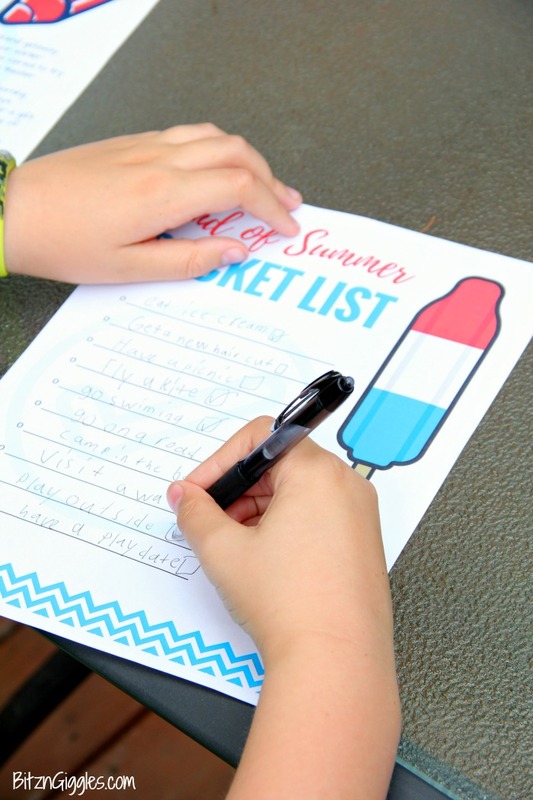 Then filled out their bucket list with the activities they were most interested in. 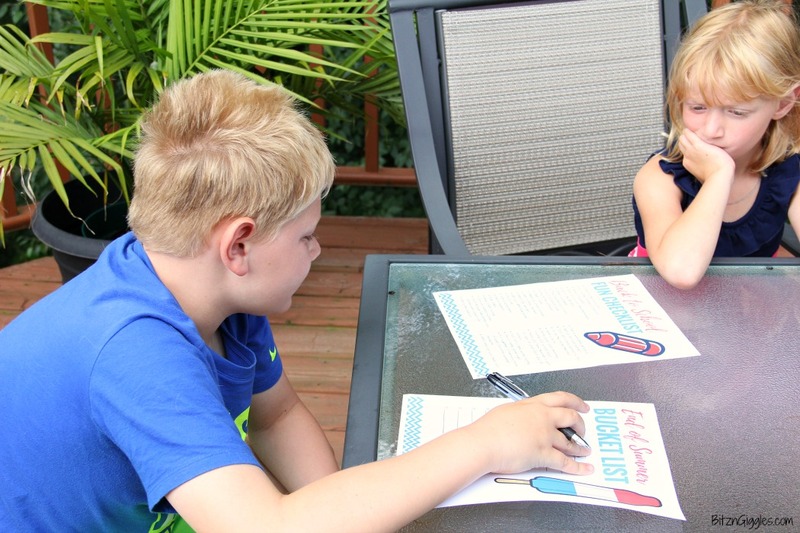 And now, we’re sprinkling in lots of fun between some of those school prep activities. 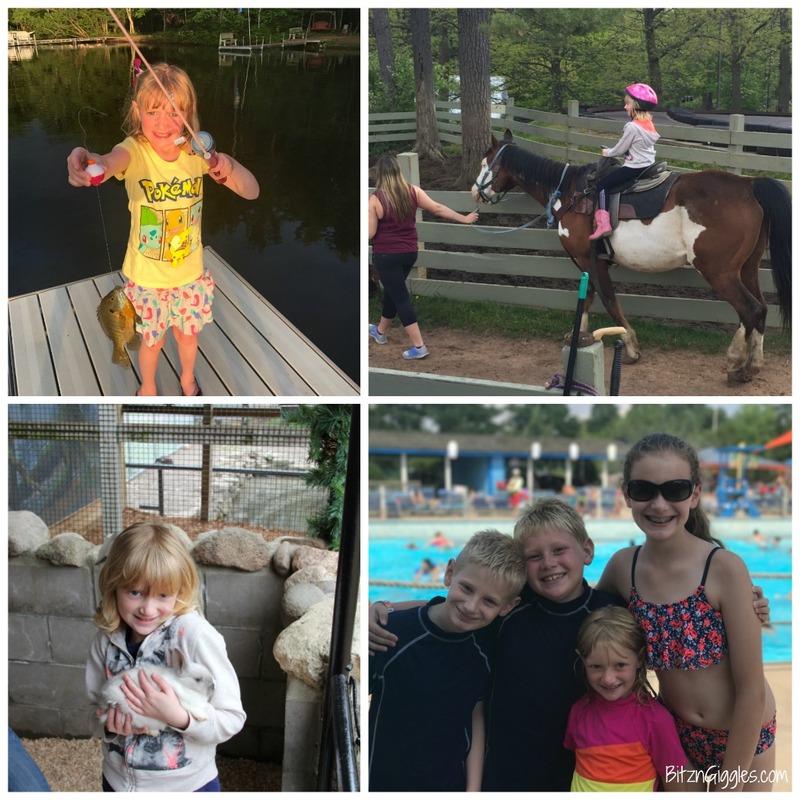 We’ve gone fishing, horseback riding, to the zoo and then to the waterpark with their cousins! We’re ending this summer with a bang and having lots of conversations about how fun it’s going to be to meet some new friends and ride the school bus for the first time! Download your own checklist and bucket list here! With school just weeks away, I am so excited to work with Clorox® as it continues its partnership with DonorsChoose.org, the leading platform for giving to public schools. Clorox® wants to help make it possible for every student and teacher in need to have a clean, healthy classroom environment this year, so they have donated $150,000 for a Match Offer, which means they match contributions to qualifying projects dollar-for-dollar. Last year, they funded nearly 800 projects and reached more than 57,300 students! You can get involved too, just by shopping for school supplies. For every $5 worth of qualifying Clorox® and Glad® products purchased*, you save $1, and the Clorox Company will donate $1 to classrooms in need through DonorsChoose.org. Go to CloroxForSchools.com for more information and to get started! *Up to $5, delivered via PayPal credit. 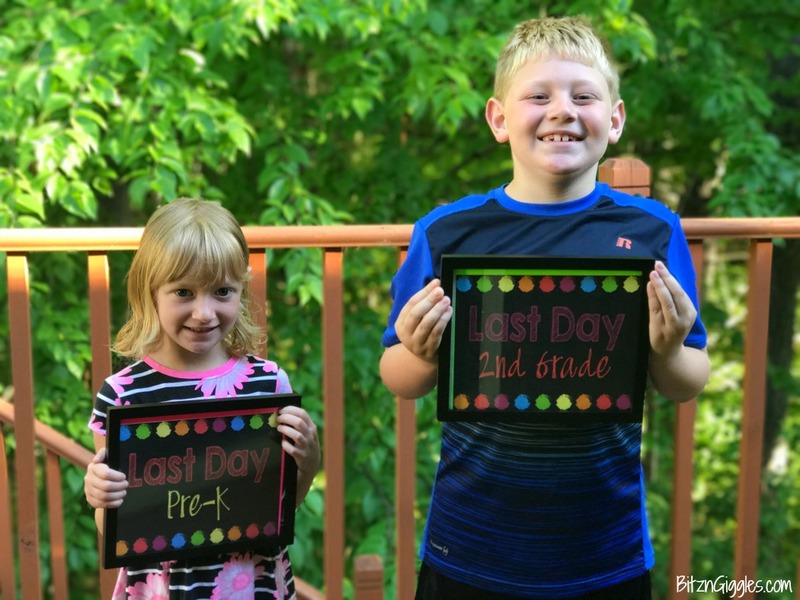 Enjoy these last few weeks of summer and ease the kids into their new back-to-school schedule with lots of fun and memorable moments. I can’t wait to hear what’s on your family’s bucket list!